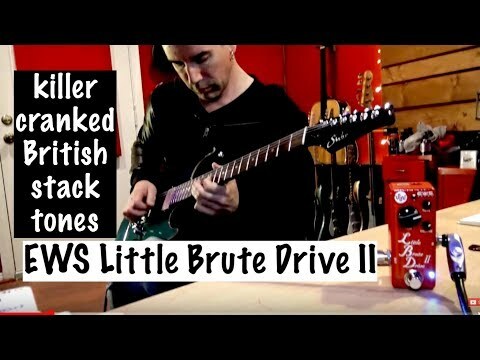 LBD2 follows the tone design of British stack amps like the previous LBD. 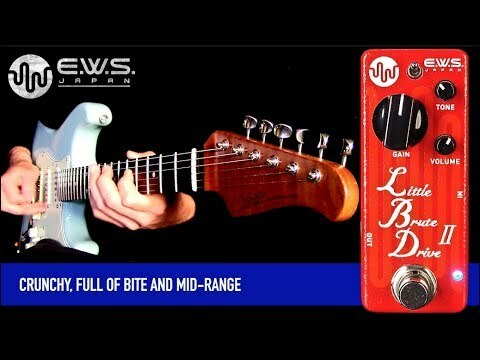 In the low gain setting, it is crunchy sounding - full of bite and mid-range, and in the high gain setting the sound becomes crisper and the drive more focused. 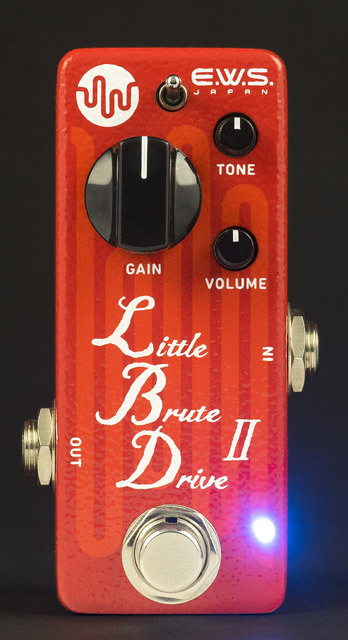 An optimum balance can be obtained by combining a tone control function as a high cut filter, a volume control that adjusts the overall level, and the mid switch (controls the strength of the mid range) positioned at the top of the pedal. The mid switch controls the strength of the mid range. 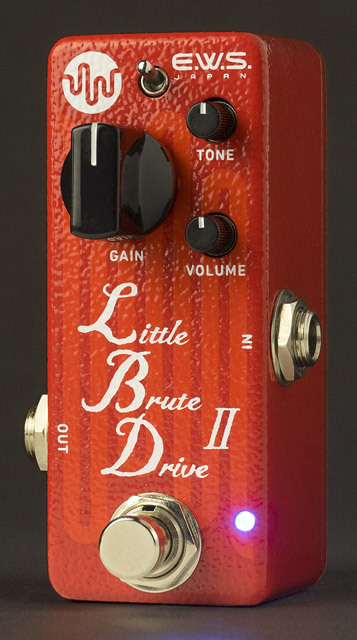 It becomes a tone setting which pushes the midrange in three stages from the foot switch side to the DC jack side. When removing the back panel, you can check the slide switch installed on the board. 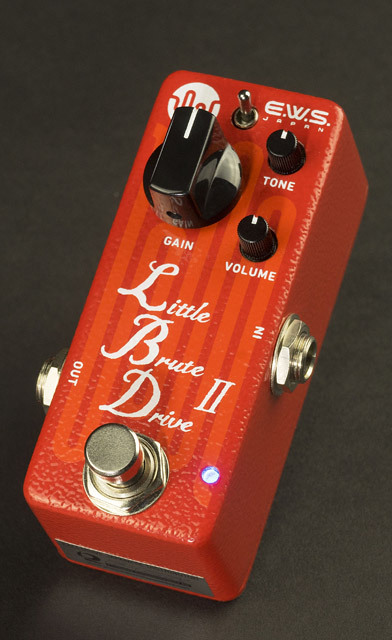 With this slide switch, the effect drive voltage can be set to 9V or 16V. 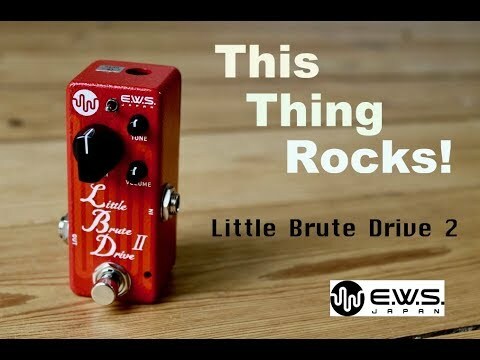 Although the LBD2 can be used with a built-in 9V battery and an external power supply, a step-up type dc - dc converter is built in which makes boosting the current to 16V possible. Compared to 9V, the headroom expands with 16V drive resulting in a wide dynamic range. The compression feeling also decreases. 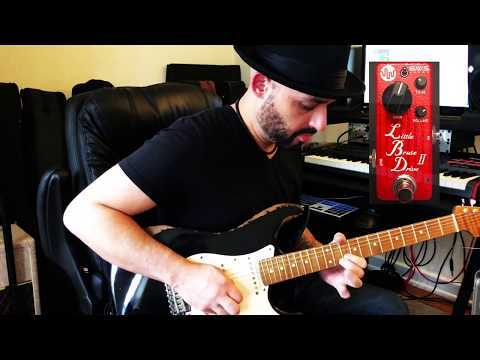 When using with 16V the current consumption of the power supply increases and it is recommended to use the pedal with an external power supply. 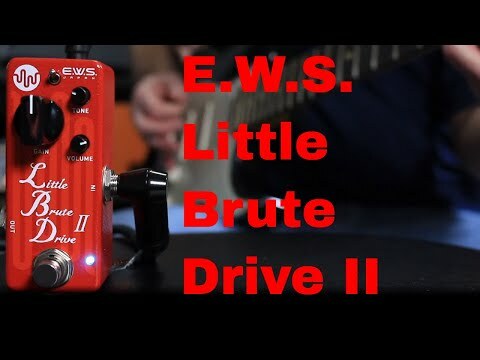 EWS Little Brute Drive II, Xotic XSC-2, Nocaster, '68 Princeton and UA OX Top Amp!